All Thunderstorm Advisory over NCR_PRSD forecast area are now TERMINATED. Light to occasionally moderate rains affecting parts of Albay, CamSur, Catanduanes, Sorsogon, Oriental Mindoro & Marinduque. 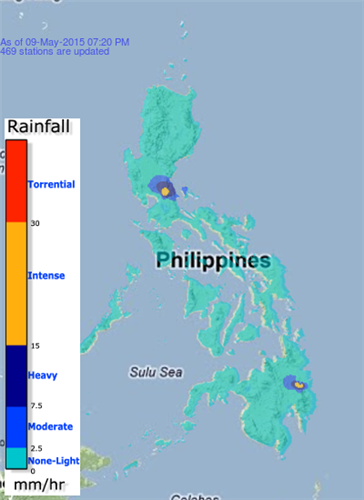 Moderate to occasionally heavy rains affecting Camarines Norte. 2,900 family food packs prepositioned in Aurora, 500 packs in Nueva Ecija and 27,641 packs for Cordillera Region. 320 persons affected by #MtBulusanPH are now assisted by DSWD in an evacuation site in one barangay of Irosin in Sorsogon. 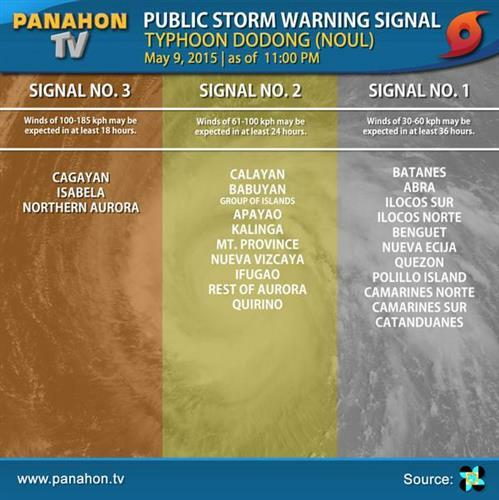 Don't miss the latest Panahon TV Express telecast on Typhoon #DodongPH . Visit our youtube channel! 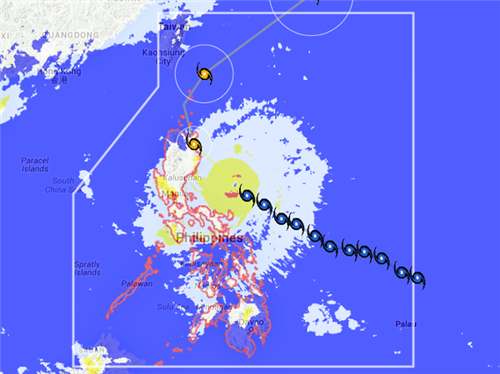 Don't miss the latest Panahon TV Express telecast on Typhoon #DodongPH . Visit our youtube page! Moderate to heavy rains affecting Isabela (Dinapigue and Palanan) which may persist w/in the next 2 to 3 hrs. 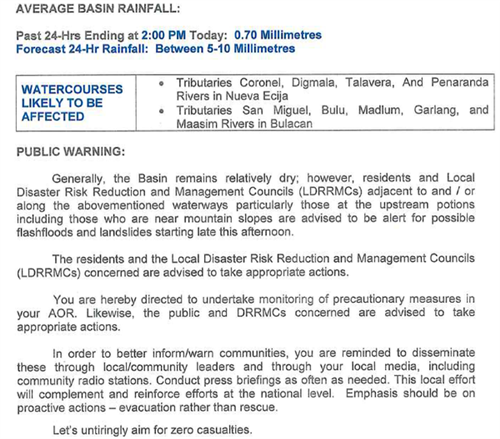 Light to moderate rains affecting Aurora (Dilasag, Casiguran and Dinalungan) which may persist for 2 to 3hrs.